At Pediatric Dentistry of Prospect, we’re proud to have invested in one of the most advanced digital X-ray systems available! 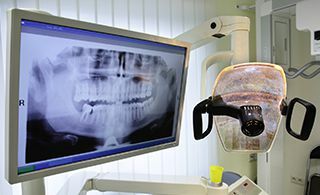 X-rays are a vital part of pediatric dental care, allowing Dr. Danielle and the rest of our staff to inspect parts of your child’s growing smile that can’t be viewed with the naked eye. However, the traditional method for capturing them involved wasteful film, slow darkroom development, and a significant amount of radiation exposure. Digital radiography has transformed this process for the better, simplifying the process down to mere seconds and reducing radiation exposure by up to 90%! Your child’s safety and comfort always comes first at our practice. Our Prospect office welcomes new patients from Beachland Beach and other nearby communities. Contact us today if you’re ready to schedule your son or daughter’s first visit with Dr. Danielle, or if you have any questions or concerns we can help you with.